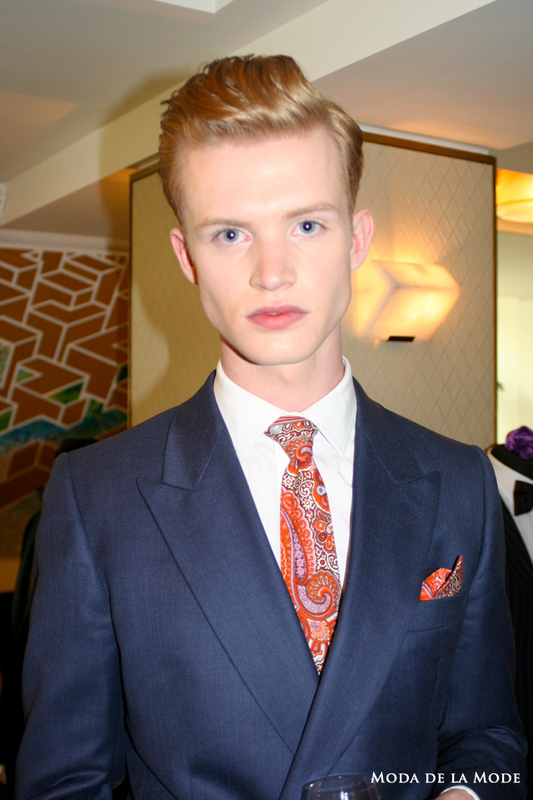 Luxury accessories label, Velsvoir and bespoke British tailor,October House collaborated together to showcase a series of looks designed for the modern man. The showcase took place at The Ivy, a glamorous hideout nestled away in the heart of Seven Dials and guests were welcomed to the event by television presenter Dave Berry. 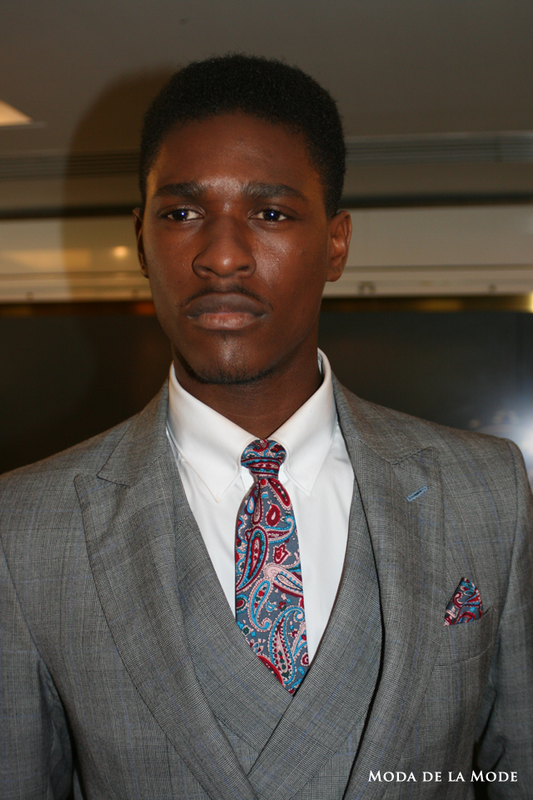 The tailoring was sharp, classic and everything you could possibly want from a bespoke suit. Jackets that fitted the body perfectly were paired with bright, skinny trousers and Converse shoes giving the whole collection a youthful, creative appearance. Gabe John, chief tailor at October House, created a look that was perfect for the new generation of man, one who is not scared of taking an interest in clothes or experimenting with time old traditions. 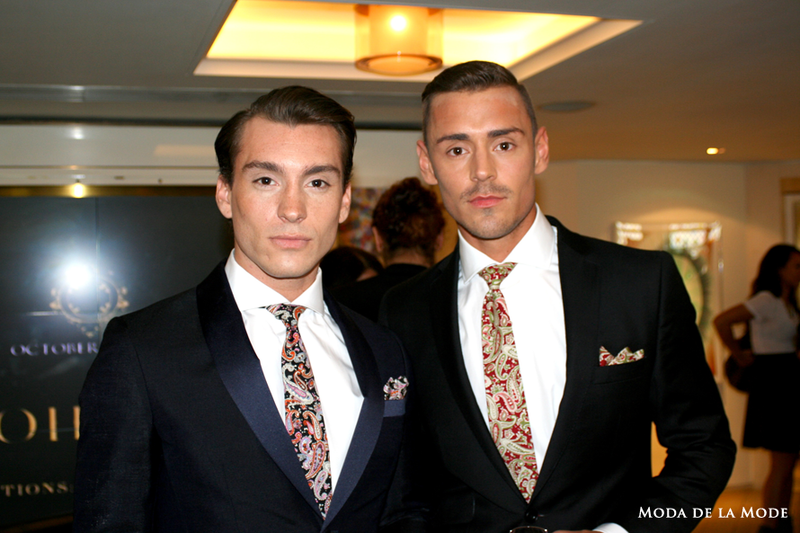 The looks were given the final finishing touches by Zubair, Talha and Zak, the brothers behind Velsvoir. 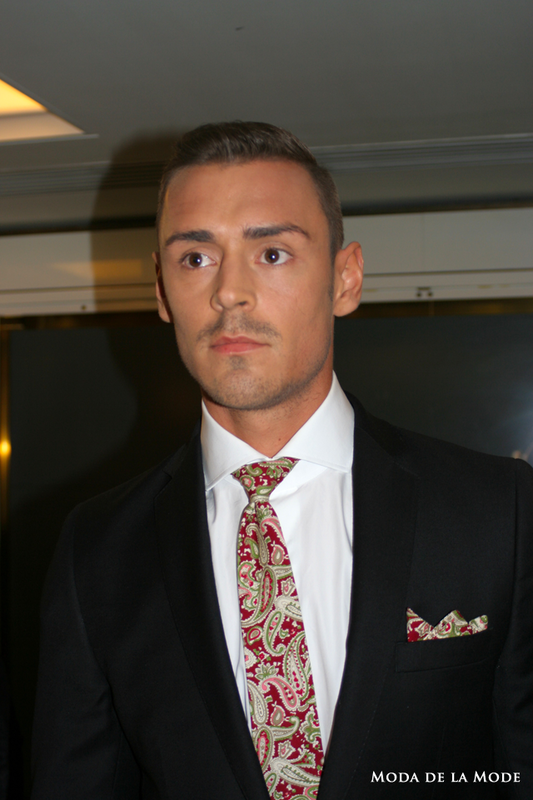 Instead of their trademark bow ties, Velsvoir showcased paisley print pocket squares and ties reproduced in uplifting shades of pink, green, lilac and red. These accessories provided an eye catching and elegant edge to the looks and the lighter colour palette made them perfect for the summer months.